If you are looking for a Villa with an exclusive pool, a good deal with a low budget for a small group of friends or family on rent. 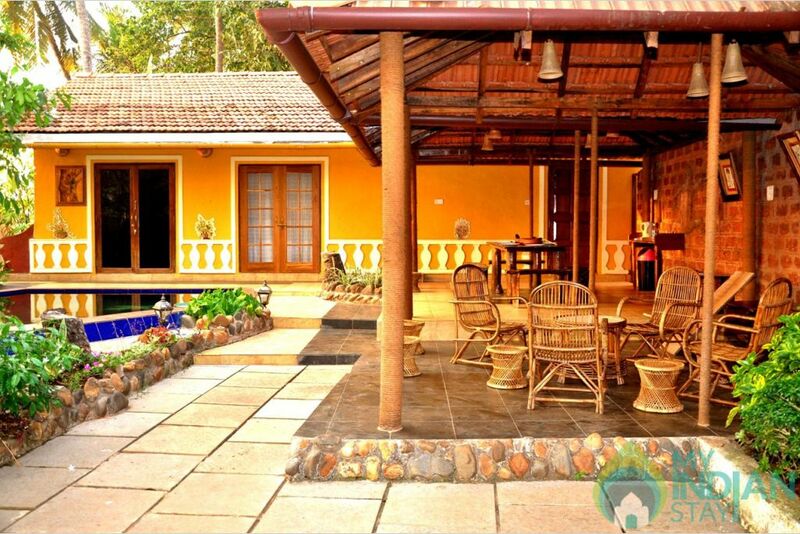 Look no further we have a 3 bedroom villa with private swimming pool just for you. 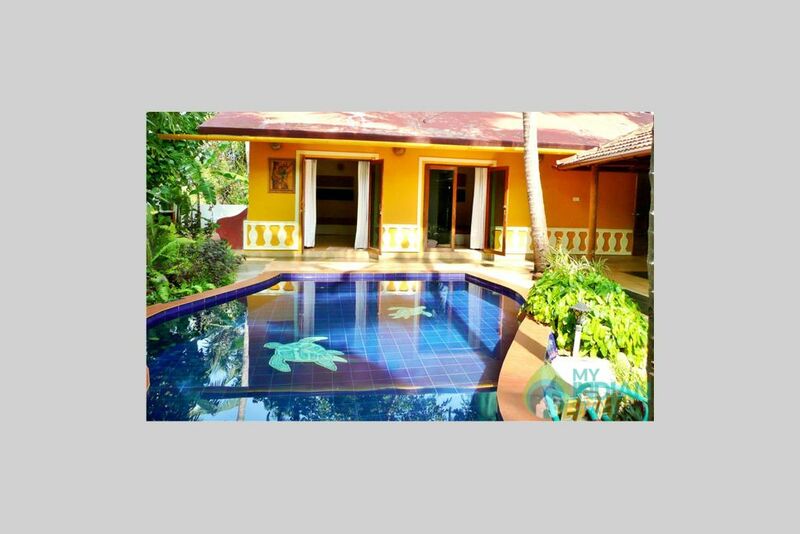 If you are looking for a Villa with an exclusive pool, a good deal with a low budget for a small group of friends or family on rent. 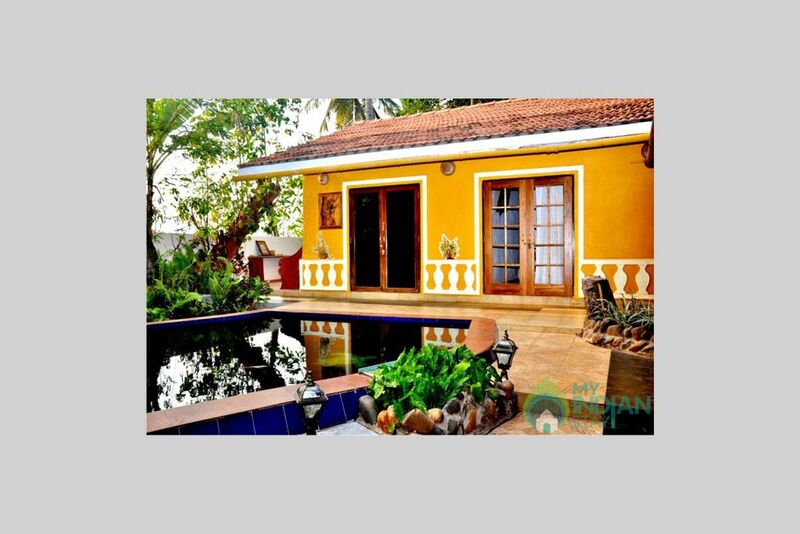 Our Villa offers you complete privacy among high compounded greenery as well as rice field view and a small rivulet nearby. 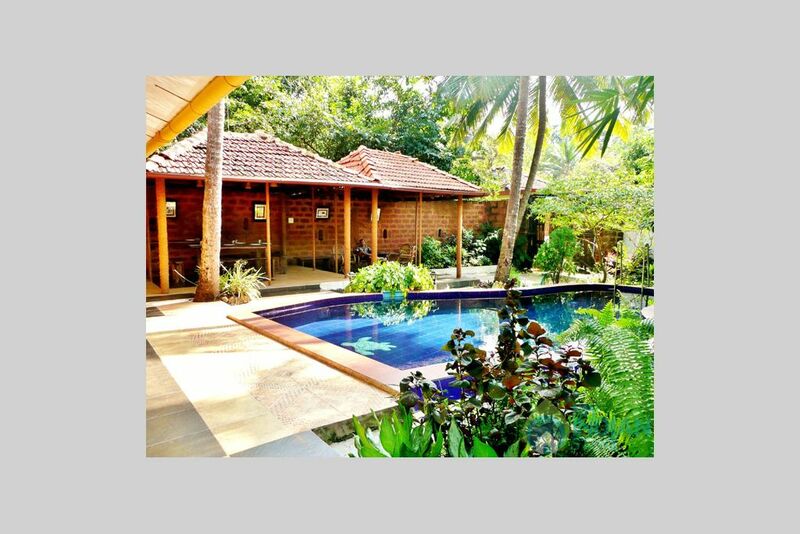 This Villa is designed as a three bed holiday retreat with a private swimming pool, open living/dining area under a cozy Mangalore tile roof cover. 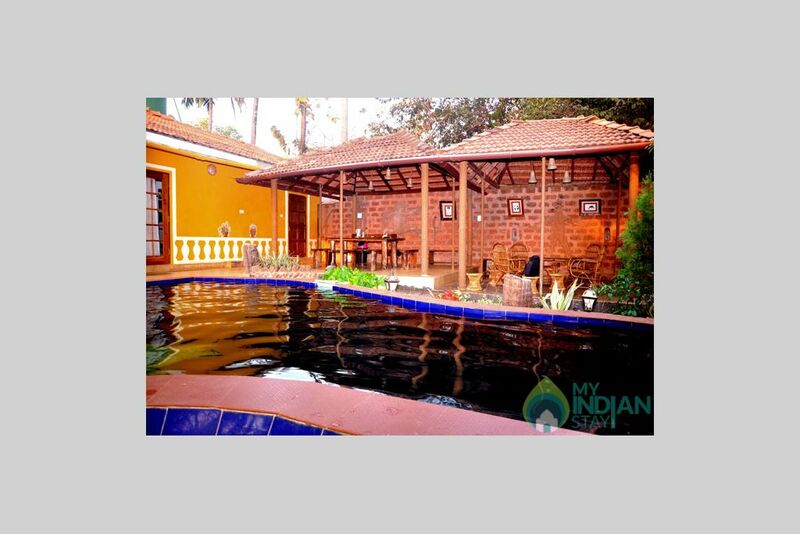 Its one of the places you have always been looking to share with a small group of friends to enjoy a perfect Goan experience. 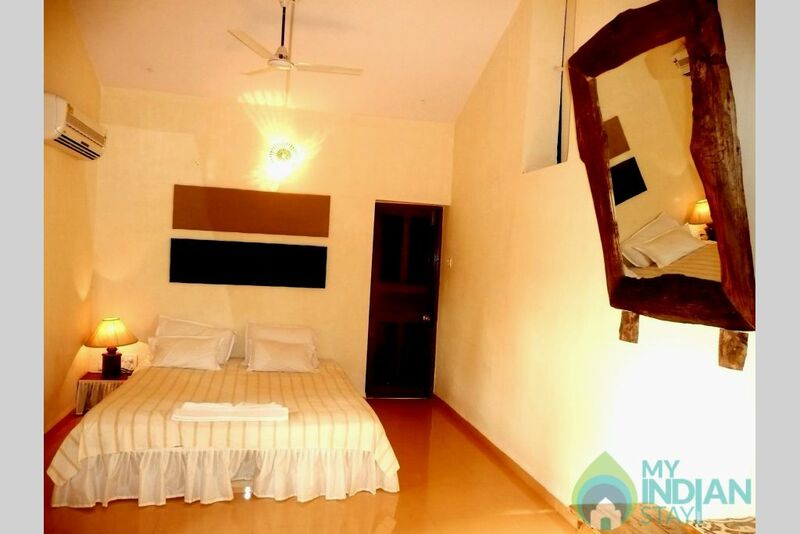 One private spacious bedroom with an attached bathroom, tub and an exclusive open to sky shower area. 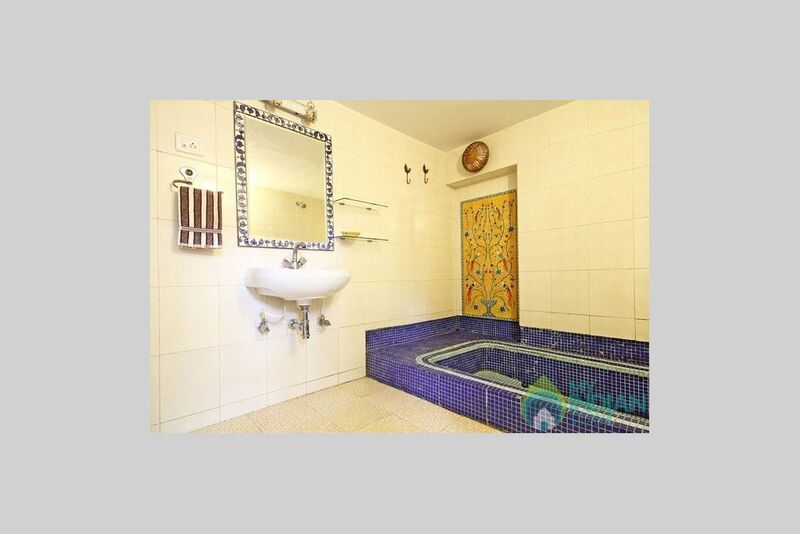 Two attached bedrooms with an attached bathroom with a tub and an exclusive open to sky shower area. 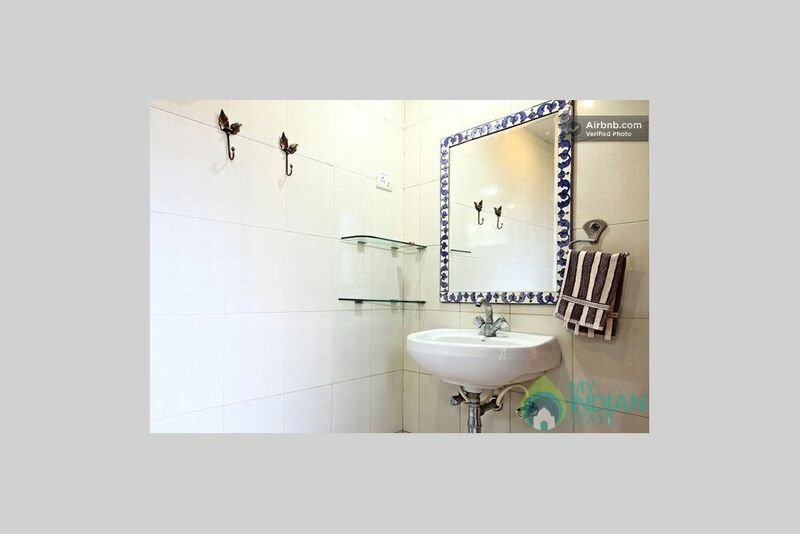 All our bedrooms are fully air-conditioned, bed linen, towels, hot and cold water, star TV connection is available at the villa. 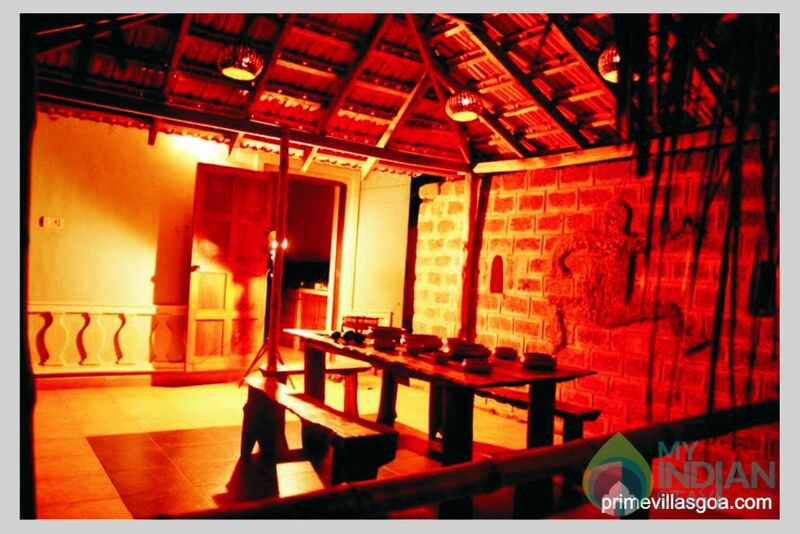 A fully equipped kitchen, with a refrigerator and cooking gas stove, mixer, microwave, sandwich toaster, cutlery, crockery, glasses, mugs etc. 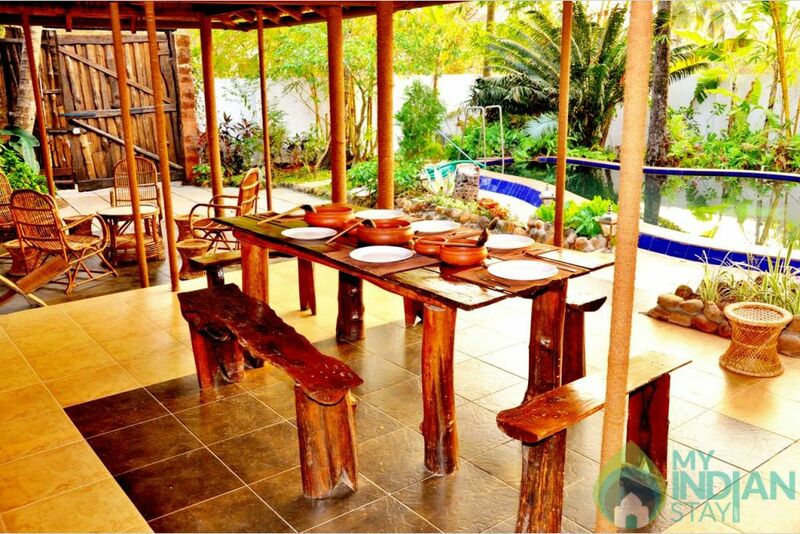 You could also enjoy a BBQ outdoors with an open sit-out. We will prepare your meals on request at an extra cost, if the cook is available (Breakfast, Lunch and Dinner), all you need to do is, to provide for the necessary ingredients. Centrally located between Baga and Anjuna beach next to Ingo's Saturday Night Bazar..
Mapusa town ---- Anjuna Village ---- cross roads ---- take left turn towards Ingos Saturday Nights Bazar/ Bhumica Petrol Pump ---- locate Fr. Agnelos birth place board on right ---- 50mts.ahead Bhumica temple ---- get into temple road ---- drive further down the mud road for about 30mts. ---- bell on left side of the gate pillar. 1 Loud Music is strictly not permitted. Dec.21st to Jan.5th.100% advance & no cancellation policy. What brings you to Arpora? Who all are coming?